As an OEM supplier to Applied Materials UK for nearly 25 years we have detailed experience of many parts used in their implanting machines as we designed and manufactured them specifically for Applied Materials. This board was developed to replace the text only display board to provide multilingual character sets. 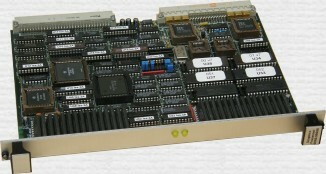 These boards have been proved to be very reliable, but have been in service for up to 25 years. Most can be repaired, unless they have been damaged by overheating of supply failures. We hold stock of all the obsolete parts on this board. New boards are available only when there is demand to build a minimum batch. If you require more information about our products and services, please call the number below, or email us.